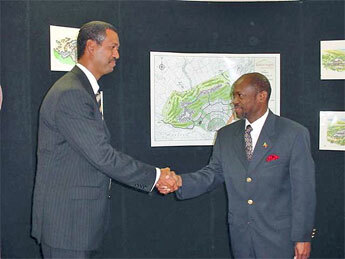 BASSETERRE, ST. KITTS, OCTOBER 13TH 2005 (CUOPM) – St. Kitts and Nevis Prime Minister and Minister of Tourism, Dr. the Hon. Denzil L. Douglas said Wednesday’s unveiling of the US$140 million Kittitian Heights Resorts at Belmont Estate is part of his Labour Party’s Tourism Development Strategy outlined prior to winning the General Elections in July 1995. 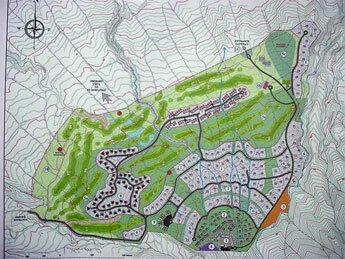 Kittitian Heights to be built on 390 acres of land at Belmont Estate in the Whitegate area on the island’s northwest, nearly 15 miles from Basseterre, will comprise an Artist Village, Boutique Hotel, Luxury Villas and Town Houses, Recording Studio, Spa, 18-hole Championship Golf Course designed by Ian Woosnam, a Club House, Practice Academy/Drive Range and Plant Nursery. The project will comprise a five-star 160-room hotel, three condo clusters with a total of 440 rooms and 100 luxury villas. The Boutique Hotel will consist of several small cottages similar to the exiting plantation resorts on St. Kitts. Kempadoo said that with St. Kitts positioning itself as a major attraction for the Music Festival, negotiations have begun to establish a Recording Studio similar to the one that operated in Montserrat. “We hope to attract well-known artists from around the world to stay at Kittitian Heights and record their music. It will also be available by local and regional artistes,” said Kempadoo. Referring to the St. Kitts-Nevis Labour Party’s Manifesto for the 1993 and 1995 General Election, Prime Minister Douglas noted the promise made to diversify the economy of the twin-island Federation. “We said then that we were not only going to concentrate on the South East Peninsula. We said also that we were not going to forget the people who are living on the Northwestern tip of this country. The people who for centuries have made a very humble living from working the land. We have had to move on from sugar agriculture, which provided the livelihood of these people for all these years,” said the St. Kitts and Nevis leader. Dr. Douglas pointed out that some of the sugar lands were being used for a different form of development and the land must continue to provide a livelihood for the people of that part of the country. “We want to move beyond the mere subsistence from sugar agriculture. 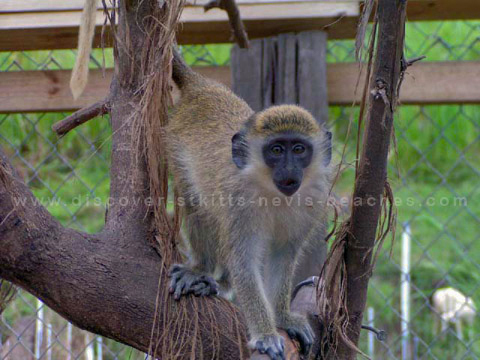 We want to move into another and new exciting economic activity which is being spurred on by tourism and hospitality services,” said Dr. Douglas, who made a very strong appeal to people to recognise that this is the time to acquire new skills that can be used and sold and applied in the new economy that is being created in St. Kitts and Nevis. “I make a strong appeal to my own people in the villages of St. Paul’s, Newton Ground, Saddlers, Parsons, Dieppe Bay and who live in smack center of this new activity that is about to be unfolded here, to make use of the opportunities that are being provided,” said Prime Minister Douglas. Prime Minister Douglas, who is also the Parliamentary Representative for the area noted that the tourism development is taking place above Belmont Estate.